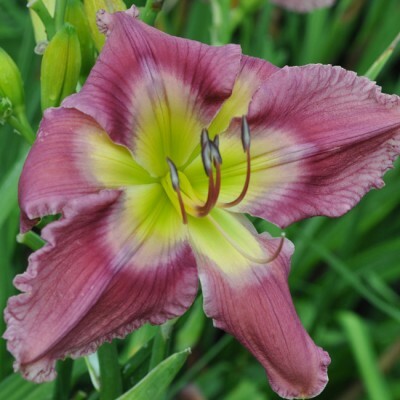 Keeper of the Stars (Nicole DeVito Fall 2014) Diploid (Answer from the Stars x ND11-121) Ev. Re 33" scapes, 7" flowers, 3 way branching, 27 buds. Fertile both ways.